Mr. Arase, is in London for his son’s graduation, said in a statement on Monday that every information needed by his successor on vehicles bought by the police were in his handover notes. He said all vehicles bought by the police under him were distributed to the state commands and other appropriate units of the force. He also denied getting any letter from Idris since he has been in the UK. “I suspect there must be a disconnect somewhere because every information needed by my successor are provided in my handover notes,” Mr. Arase said. “I’m also not aware that any letter was written to me because if there was any dropped in my house, someone would have alerted me. 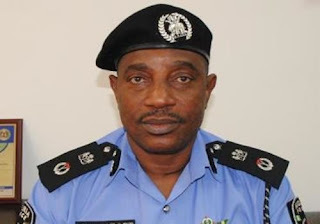 Mr. Arase’s successor, Ibrahim Idris, had said on Sunday that his former boss went away with 24 police vehicles after he retired from service. The acting Inspector General also said he had written to his predecessor and other recently retired senior police officers to return the vehicles in their possession. Mr. Idris said, “When I took over, there was no vehicle, even the vehicle I would use. I discovered the last IG went away with 24 vehicles; the DIGs, some of them eight, some of them seven. The IG’s vehicles included two BMW 7 series, one armoured; and he left me with an old car.